Facilitating a group? Looking for inspiration? 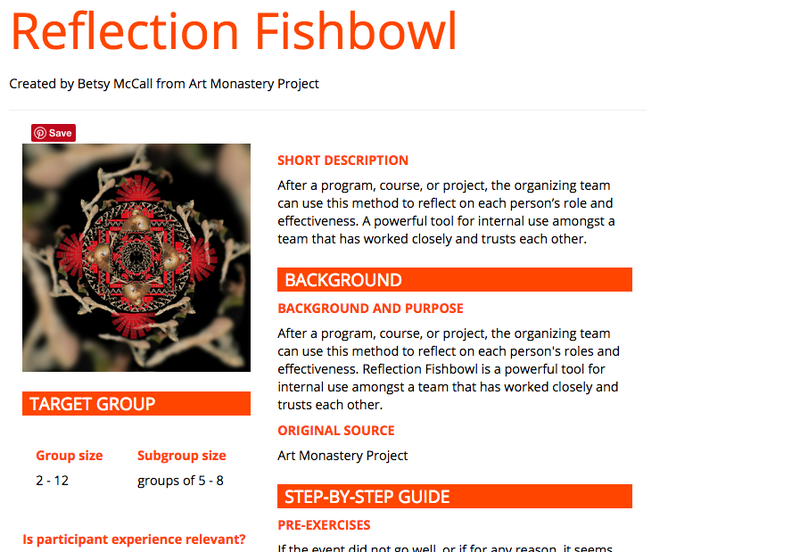 Connect with the methodologies of the Art Monastery online, with this free searchable database of tools for fostering creativity. Whether you are a teacher, coach, facilitator, social activist, workshop leader, manager, team leader, or organizer of any sort, we hope you’ll find something that makes your process easier, deeper, or just plain better. 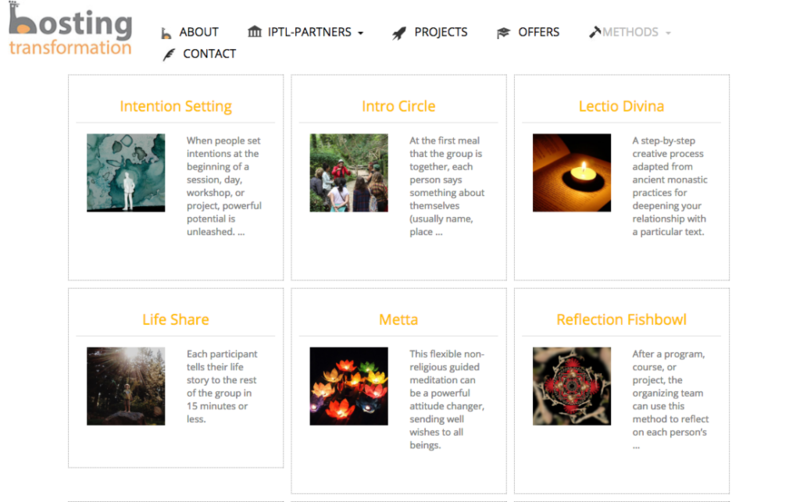 Search by a variety of filters, including type (energizers, closing ceremonies, conflict resolution, decision making, etc. ), group size, time, experience level, and more. Have a great technique that supports creative thinking or community building? You can add your methods as well! Just make an account (it’s quick and free). This database goes hand in hand with our “Live Your Dream” Workbook, yet another piece of our bigger project “Hosting Social Innovation,” brought to you in collaboration with the Academy for Visionautics (Germany), the Sendzimir Foundation (Poland), and Plenum (Austria). 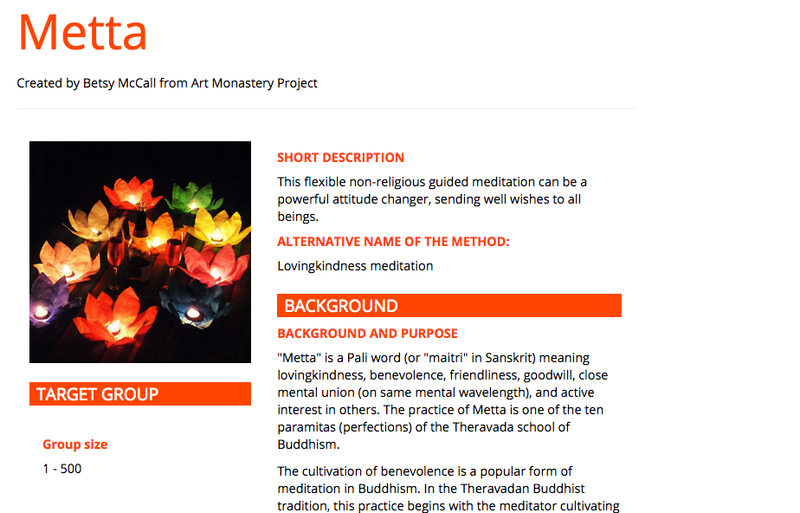 The images below are samples of the Art Monastery Project’s contribution to the full database. Try it out, and let us know what you think. We want to hear from you!